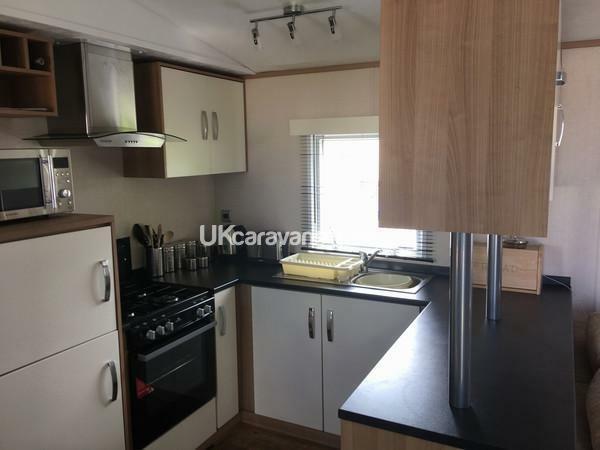 £50.00 per week deposit required also a £100.00 bond is payable with final balance. Full booking terms & conditions sent upon booking. When sending your enquiry, please include the number of adults (16+) and children in your party, the date you are interested in booking and a reason for your message. We will not respond to blank enquiries. 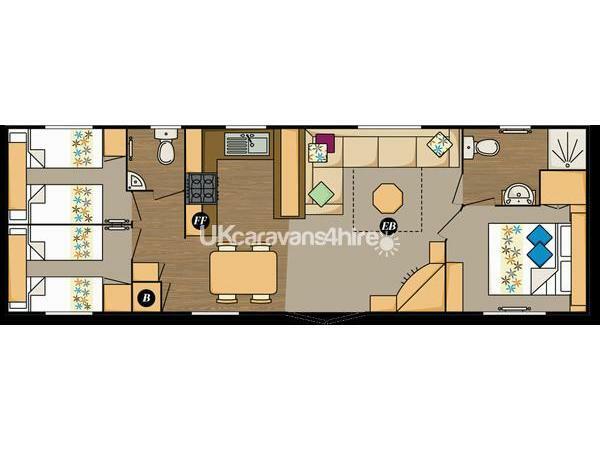 ‘Glenmoor 48’ is a 3 bedroom Carnaby Cascade Centre lounge caravan (37ft x 12ft) with double glazing, central heating and a large decking area. 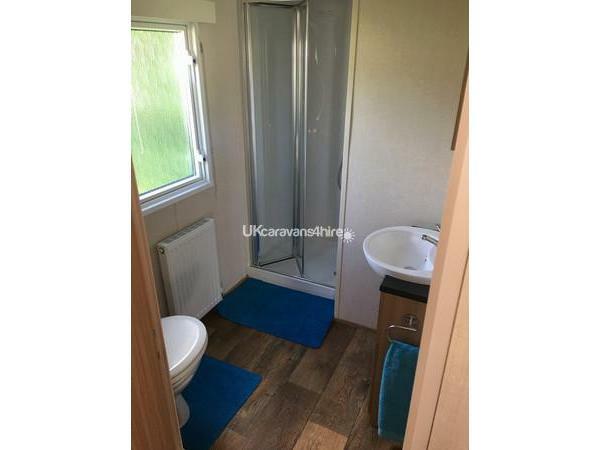 One end of the caravan has a double bedroom with Jack and Jill bathroom. 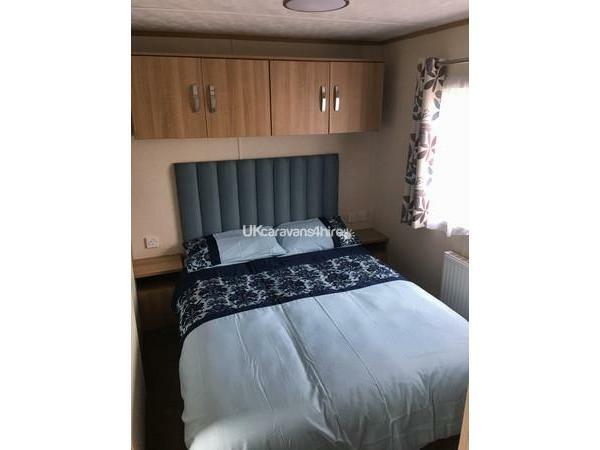 It is fitted wardrobes, over bed storage, bedside tables with lamps. 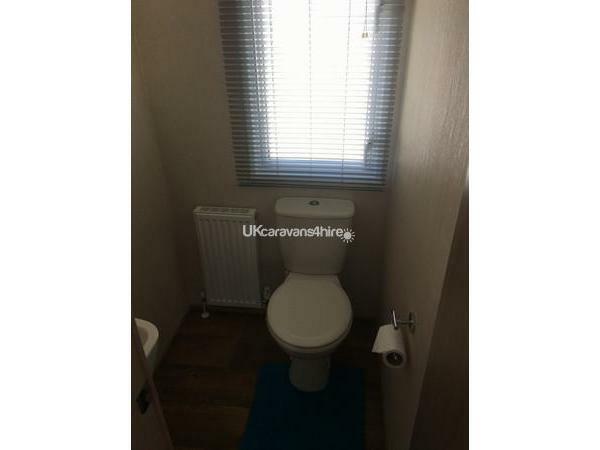 The Jack and Jill bathroom consists of a toilet, large shower enclosure and a sink with under cupboard storage. 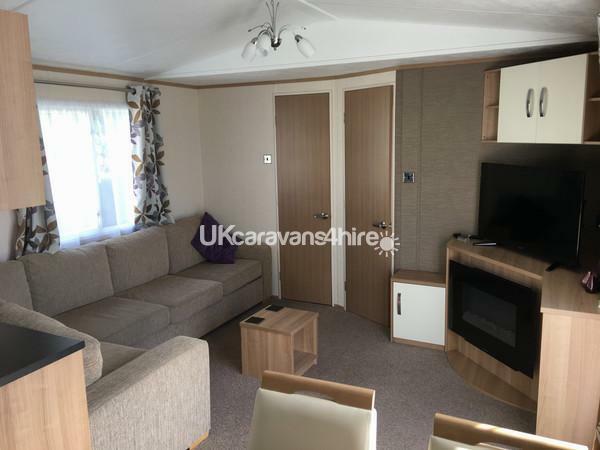 The lounge area is fitted with a large seating area with double sofa bed, a gas fire, 42" digital TV, DVD player and a safe. 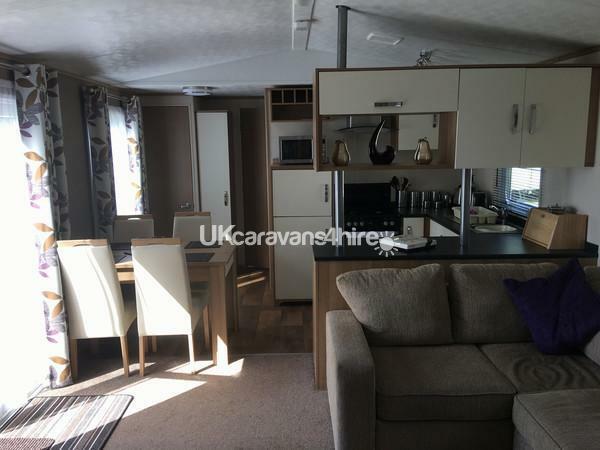 The kitchen is fitted with a cooker with oven and grill, a toaster, microwave and a fridge/freeze.. There is also ample storage above and below the work surfaces. 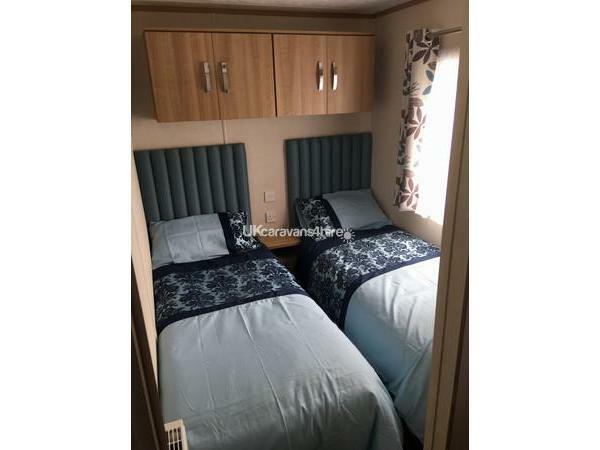 At the other end of the caravan there are two further bedrooms with twin beds, single wardrobe unit, over bed storage with a bedside shelf and there is a separate toilet with wash hand basin. 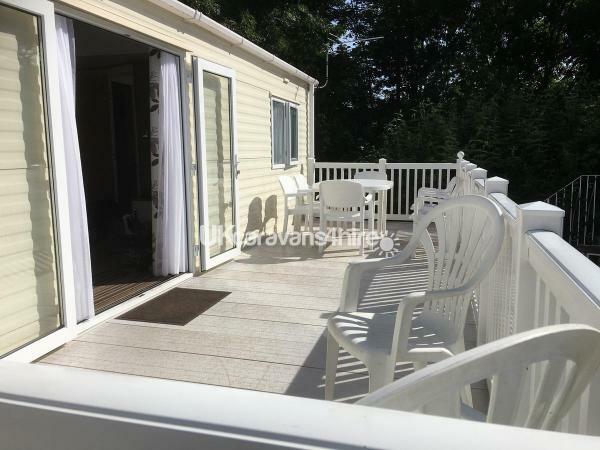 Outside the double French doors, is a large decking area with table and chairs and a grassed with enough space to park a car. Glenmoor forty-eight is located in a quiet part of the park, yet still within just a few hundred yards of all the site facilities. 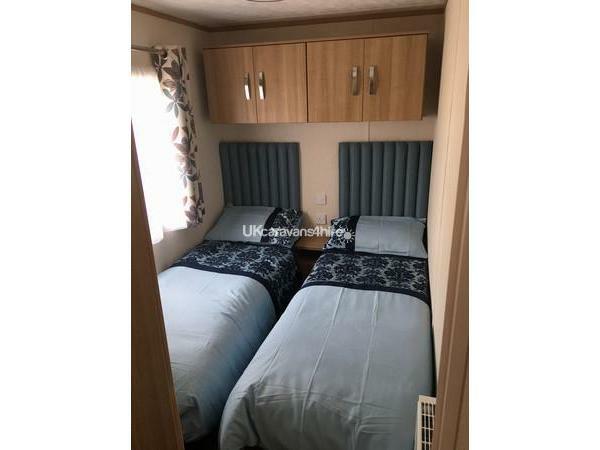 On site facilities include an indoor/outdoor heated swimming pool, mini golf, two play areas for children, site shop and a launderette. The site has the "Bay view Club" with nightly entertainment for both adults and children. There is also an amusement centre, take-away restaurant for snacks and free wi-fi in the main club house. 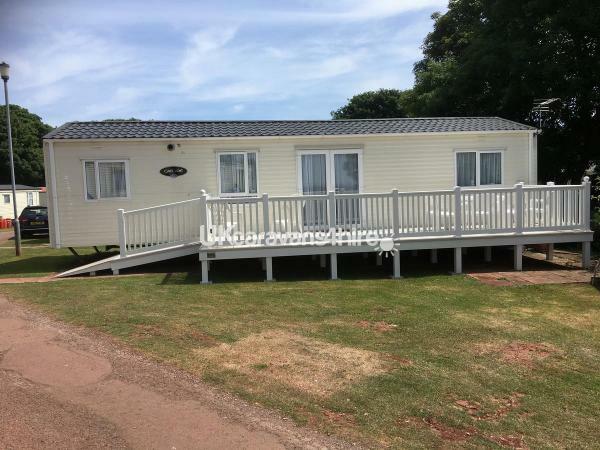 A pleasant drive away, you will find the towns of Paignton, Torquay, Dartmouth and Babbacombe. There are plenty of things to see and do in the surrounding area for the thrill seekers and those looking for a relaxing break.